Hopkins Architects has won the Sport & Leisure Architect of the Year award, presented at an industry ceremony on 30th October 2008. The Building Design Architect of the Year Awards recognise and reward those who are helping to improve design standards. This win comes in the wake of the Lawn Tennis Association's National Tennis Centre winning the Best of the Best, National and Joint Regional awards at the British Council for Offices Awards announced earlier this month. 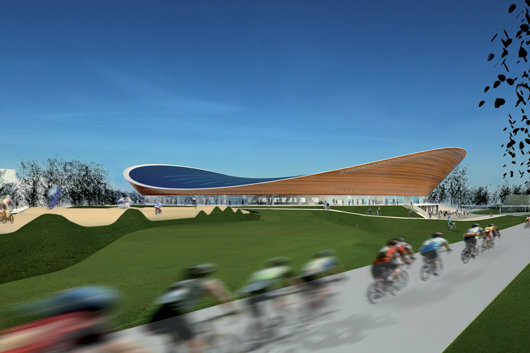 The practice's work in the sector includes high profile projects such as the UK Olympic Velodrome, The International Cricket Centre in Pune, visitor attractions such as Alnwick Garden Pavilion (2005) and buildings such as The Mound Stand at Lords Cricket Ground (1988). The judges said: "While too many sports buildings feel like the architectural equivalent of athletes on steroids - big, bulky and inelegant - Hopkins Architects has made a mark with buildings that are both contextual and very popular with users. This is a practice that really understands what the public wants. These are beautifully made, thoughtful buildings, which don't scream the word icon and are all the better for that."